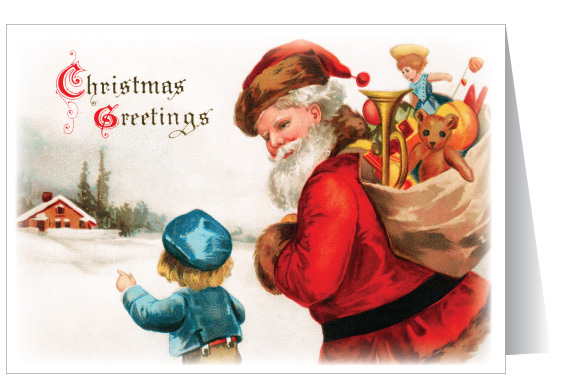 The custom of sending Christmas cards started in Britain in 1840 when the first 'Penny Post' public postal deliveries began. 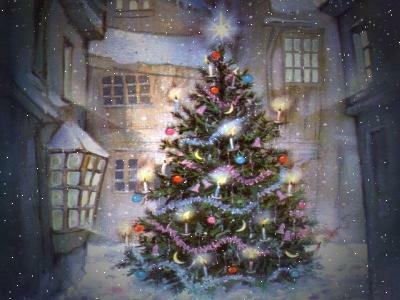 Over a billion Christmas cards are now sent every year in the United Kingdom, many of them sold in aid of charities. 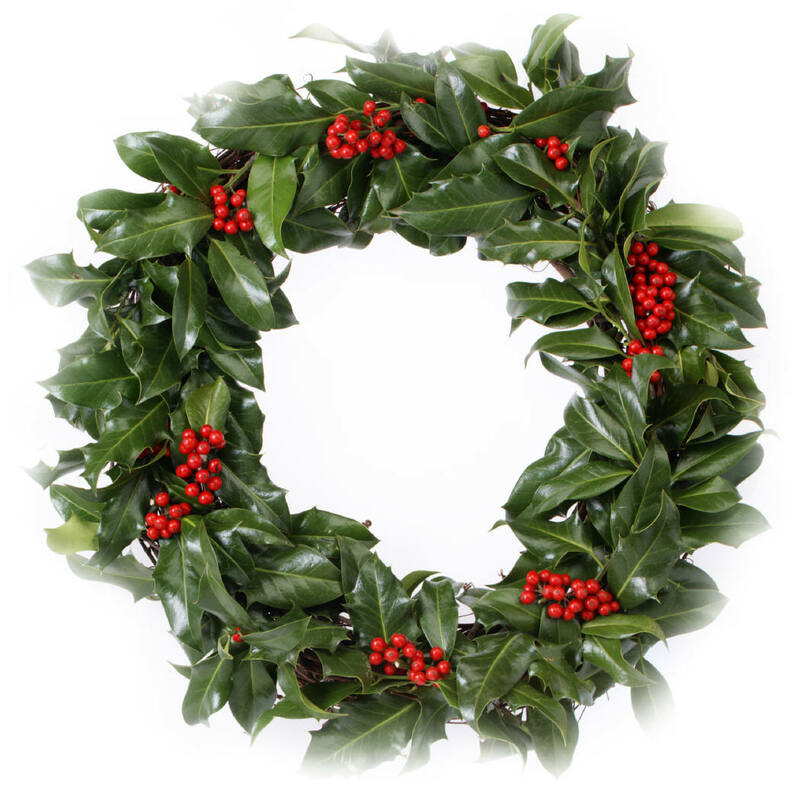 'Holly', 'ivy' and 'mistletoe' are associated with rituals going back beyond the Dark Ages. 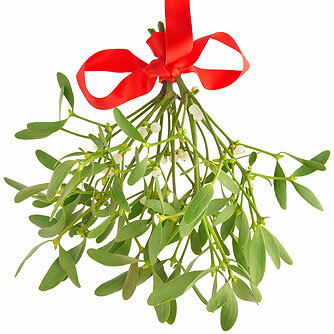 The custom of kissing beneath a sprig of mistletoe is derived from an ancient pagan tradition. 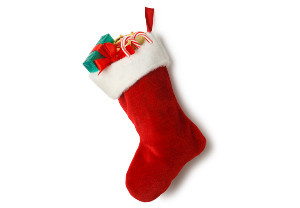 The custom of hanging a stocking on the hearth or bed post on Christmas Eve in the hope that it will be filled with presents the next morning started about 400 years ago in Holland where children placed clogs next to the hearth. In Britain stockings were used instead of the clogs. The Celts used to bring a large log inside on the winter solstice and burn it to celebrate the return of Sun God. The Cornish drew a man on a log to commemorate the very old custom of human sacrifice by burning on a bonfire. 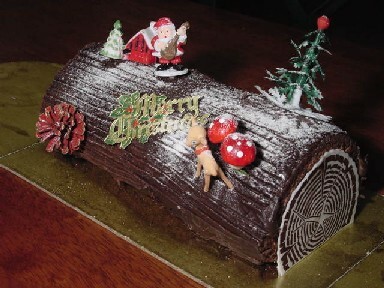 Revived in the 12th Century, the Yule Log which was supposed to ward of the devil provided it burned continually until reduced to a pile of ashes. Was popularised by Prince Albert, husband of Queen Victoria, who introduced one to the Royal Household in 1840 from Germany. 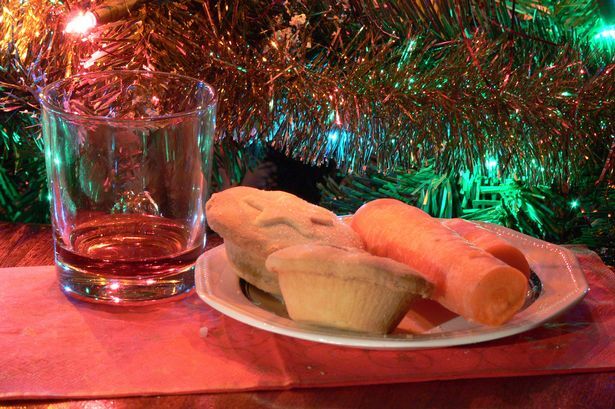 In Britain children leave out whisky or sherry and for Santa and a carrot for Rudolph and the other reindeer in front of the fire. 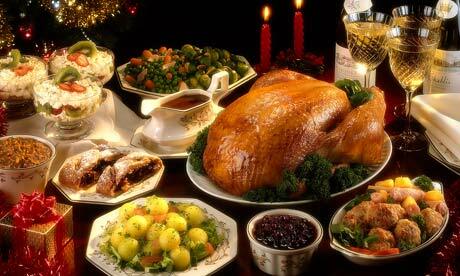 Consists traditionally of a roast turkey, goose or chicken with stuffing and roast potatoes. This is followed by mince pies and Christmas pudding flaming with brandy. 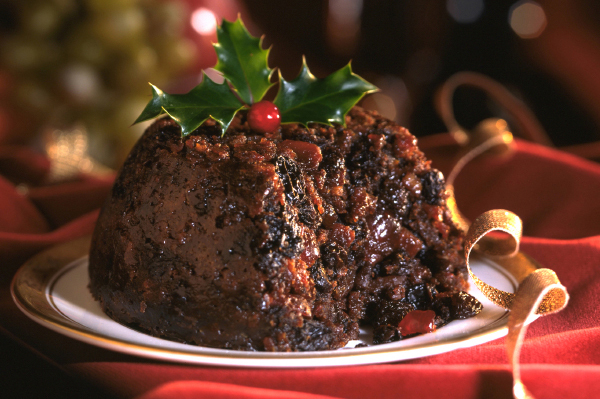 This pudding can be traced back to the 14th century but has changed along the way. Now it is a very rich steamed pudding crammed with fruit a hint of Brandy and served with cream after being flambe'd. 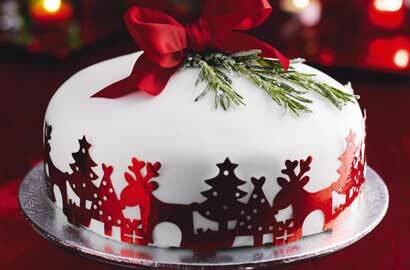 A rich baked fruit cake started around 1870 in Victorian England. Sometimes with marzipan, icing and sugar frosting. Mincemeat pie is a small sweet pastry pie, versions without the top are known as a mince tart, also a pie may be family sized. 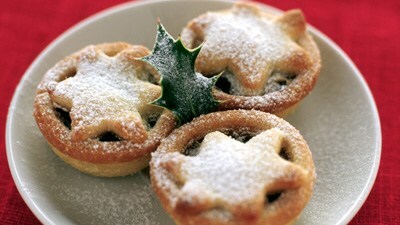 Filled with a sweet mince filling of fruit, raisins currants and spices. Origins can be traced back to Medieval times where the explanation for the word meat is found, in Old English meat or mete, referred to any food, not just animal. On the dinner table on Christmas Day. 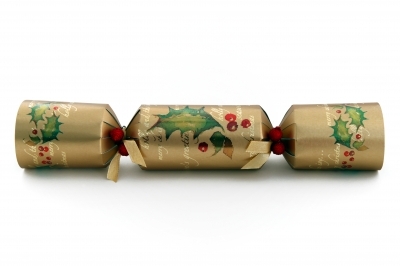 Invented by a London baker in 1846, a cracker is a brightly coloured paper tube, twisted at both ends, which contains a party hat, riddle and toy or other trinket. When it is pulled by two people it gives out a crack as its contents are dispersed. 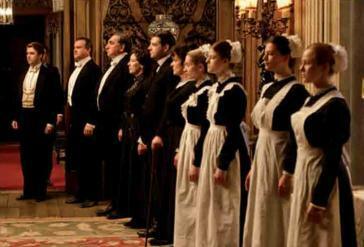 Takes its name from a former custom of giving a 'Christmas Box' - a gift of money or food inside a box - to the staff of servants, maids, grooms, cooks, butlers, deliverymen and tradespeople who called regularly during the year. This tradition survives in the custom of tipping the milkman, postman, dustmen and other callers of good service at Christmas time. 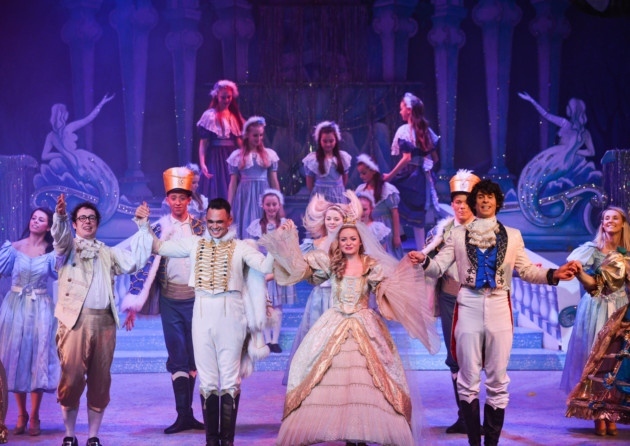 Popular among children at Christmas time are pantomimes: song and dance dramatisations of well-known fairy tales like 'Jack and the Beanstalk', 'Cinderella' etc, which encourage audience participation. English pantomime is modeled with certain modifications upon the masque of the Elizabethan and the Stuart days, influenced by travelling theatres from Europe.